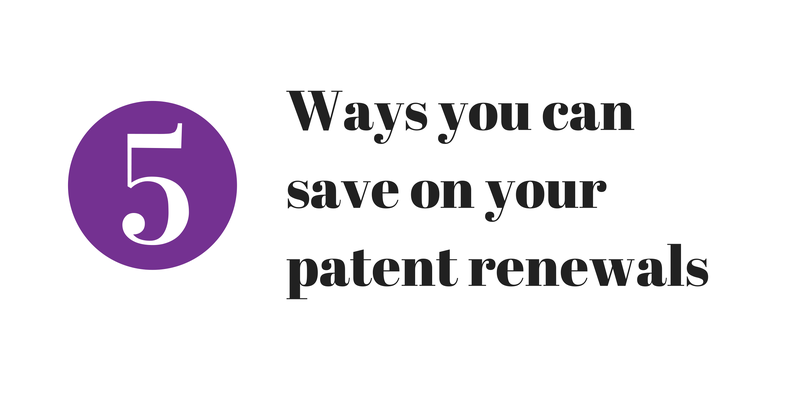 The business of finding a patent renewal can be long, expensive and (let’s face it) not exactly riveting. If you choose the wrong provider, you can end up paying through the nose in one of two ways. Some companies are extremely expensive and take advantage of the fact that you don’t know what the end costs actually are. They hide huge markups in the fee you’re quoted. Other are unreliable and you will end up paying late fees or penalty fees when they miss a crucial deadline. Always find out what the patent office fee actually is. If your attorney or renewal service does not disclose this, check our database of country fee guides here. Avoid paying for extra steps in the supply chain. Unless you’re relying on your attorney for a large input of information to the renewals service, you may not want to be paying them as part of your renewal. Decide if you really need credit. Remember that if you pay on credit, you are paying for the service of the renewals company to front you the money. Get wise to foreign exchange tricks. Apart from dodgy exchange rates, you should also find out if you’re paying for your service to hedge against currency volatility. If there’s a long period between your quotation and the date on which the patent office is paid, this may be a factor. Compare the total cost to renew. There are other ways fees can be hidden, they might be referred to as ‘country fees’, ‘administration fees’ or using a whole host of other names. It can be very confusing. Be sure to focus on the total costs and ask whether there are any other fees you haven’t been told about. RenewalsDesk is a patent renewals service for patent holders. Take control of your patent renewals and avoid hidden fees using our online Self-Service renewal tool to make renewals yourself. You get full transparency, at-cost currency transfers, and most importantly, you are in charge or your renewals. It’s easy and free to get started with no prior knowledge and you get an immediate complete overview of when your renewals are due, with the automatic email reminders and the option to set up payments for automatic future renewals. Visit our homepage here.